It’s tough to be taken seriously when your sports video doesn’t cut it. Especially when you’d like to be up there side-by-side with the big-budget network broadcasts—non-stop action and the extended drama of their highlights and instant replays. Now you can step into the ring. 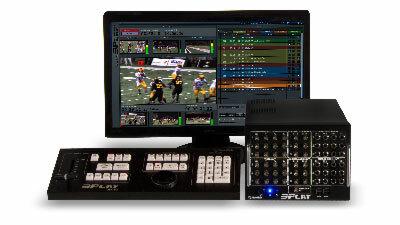 With 3Play 330, you add a whole new dimension to your live sports production, far more affordably than was ever possible, until now.